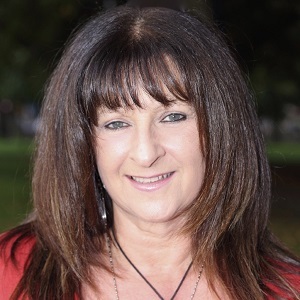 English psychotherapist and author of The Mood Cards which is a card deck of 42 moods and emotions for self-awareness, empathy, connection, emotional intelligence and healing. Summary: Andrea’s answer to the five questions! Listen to the full conversation on the player above; also available on iTunes, Stitcher and Soundcloud. I do believe that because I think that when things are going fine, we don’t think about hope because we don’t need to have hope. We just go on with our lives. It’s when things go wrong and things go very wrong that we start to look for answers and we look for meaning and we maybe look for solutions and ask even for a miracle sometimes. I do believe that there is always something there that will give hope – that people can find hope in the smallest things. I think I give myself hope and I am the person that gives myself hope when things are down. I think when you’re down, it does matter what people say but sometimes you can’t hear what people say. At the end of the day, it’s always been me that has given myself hope by thinking positively. Nelson Mandela. Just the way that he was locked up those years and then when he came out, he didn’t hate. He didn’t want revenge. He just wanted to move forward. He just has a peace about him, a way about him that is very inspirational. Viktor Frankl, an Austrian neurologist and psychiatrist. He was a holocaust survivor. He talked about the last of the human freedoms, the ability to choose your attitude in any given circumstance. My grandparents are inspirational as well. He was one of the liberators at the concentration camp. When I was around 30 years old, my father died. It was a really difficult time for me. I think there was a lot going on in my life. It was in 1990 and we had a really bad recession here in the UK. I had three little kids and I wasn’t able to work. My husband had a sort of business. It was a very difficult time financially and then I lost my father. I decided to do something about it and so I got a part-time job. I don’t think that went down too well with my husband because he’s one of these people that he likes to be the provider. I didn’t really know what to do. I was really stuck because I was trying to do what I thought was the right thing to do to help. It was a difficult time for me trying to make everyone happy and do what I could. I don’t know why but I seem to be surrounded by people that didn’t have problems. It felt like we had a problem as a family and I lost my father and I seem to be surrounded by everybody else that seems to be having quite a good time. I found myself being in this horrible – my thoughts at the time, I was thinking why was this happening to me? I was standing in the shower at the time and I think I was about to slip into depression. I was in a bad place. I was in the shower and I felt like I was actually going to go down the drain. It sounds strange, but I felt like I was disappearing as a person and I was going to be washed away. It was a light bulb moment or just a voice inside my head that says you need to do something. You need to make a change. Something needs to change. The next day I just thought that’s it – I’m changing my life. I’m going to do something for my life so I can have my own success. I thought I had to improve my life so I did enroll in college and I thought I will be the oldest one there. I just thought I don’t care. I’m going to do it. It was really a hope born out of having to make a change. It did make that change and it took a long time to get to the position I’m in now where I’m very happy. My life’s work is my passion. It doesn’t even feel like work to me. I’m kind of happy that I went through those difficult times because it’s made a big change for me, for my life. With my work and clients, working with them always trying to share hope with them. I do see hope in people. I always see the goodness in people and the beauty of that person. It doesn’t matter what they tell me and where they’ve been. I can see that they deserve to live the life that they want. I think me believing in them really helps people to come through whatever it is and then start to believe in themselves as well. I post a lot of positivity and motivational posts on Twitter. Even small things like when I walk in the forest, I just take a photo of the morning sunrise and I post that on Twitter to say good morning to people. I interact with people. Another thing I do to share hope is I write about truth. I talk about truth and I never try to hide. I’m real. Put it this way, I’m very real with my messages. I think that gives hope to people. Another thing I do, I like to sponsor people that I know that are raising money for charity because I think it’s really important to encourage people that are doing good things. (1) Communicate. Be a friend. Talk to a stranger, smile to a stranger. (2) Connect with nature and be mindful. (3) Be kind to yourself.